Since starting this blog and commencing the International Diploma in Crochet, I have been thinking about and doing crochet more than ever before (it’s great! 😊). Conversations about crochet have also increased amongst family and friends. I wrote some weeks ago about being unsure when my love of crochet was born but in speaking with my Dutch mother, it transpires that I have always been surrounded by crochet! 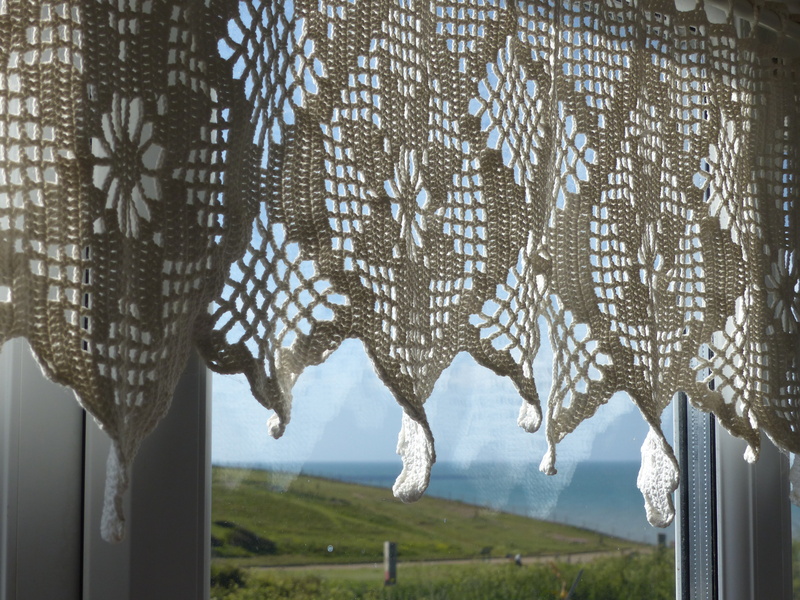 I am half Dutch (my mother is Dutch and my father English) and the Dutch crochet influence is evident all around me! 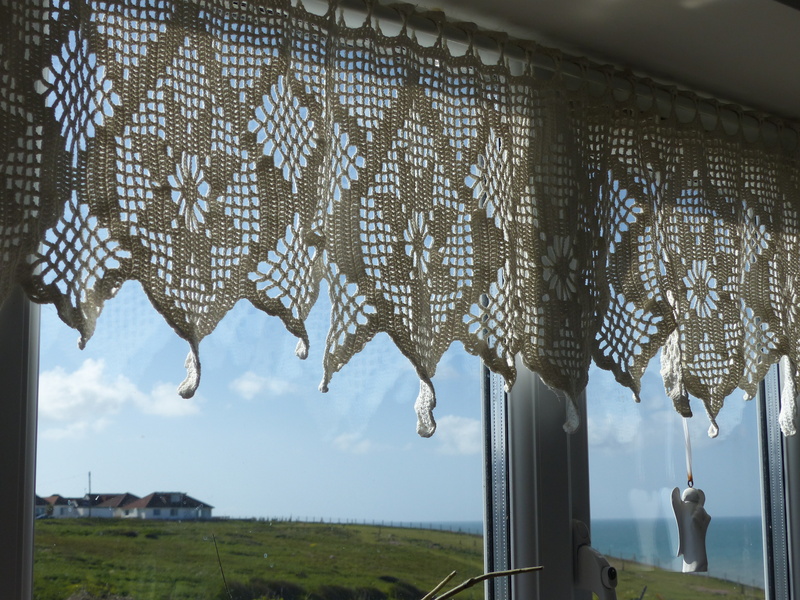 I grew up with ‘gehaakte gordijntjes’ (crochet curtains) in front of our windows. These were very popular in The Netherlands in the 1970’s and ours were crocheted by both my wonderful mother and beloved Oma (grandmother) using a popular pattern at the time which my mother recalls was late 1960’s, early 1970’s. Although my mother says it was a joint effort, she remembers the majority being crocheted by my Oma. When my mother married my English father and moved to England, she brought the curtains with her and they hung in our family home right up until I left home! They still have them today but when I moved out I took some of the curtains with me and they have hung in front of various windows in my homes throughout my adult life! Being half Dutch yet living in England, I have always wanted to keep as much of my Dutch half alive as possible! Here are the ‘gehaakte gordijntjes’ now, hanging in front of our kitchen window! Isn’t it amazing to think that they are over 40 years old! They have needed the occasional repair after being washed, but I hope they will continue to hang in front of our windows for decades to come! It’s very special for me to think that my mother and grandmother made these together! 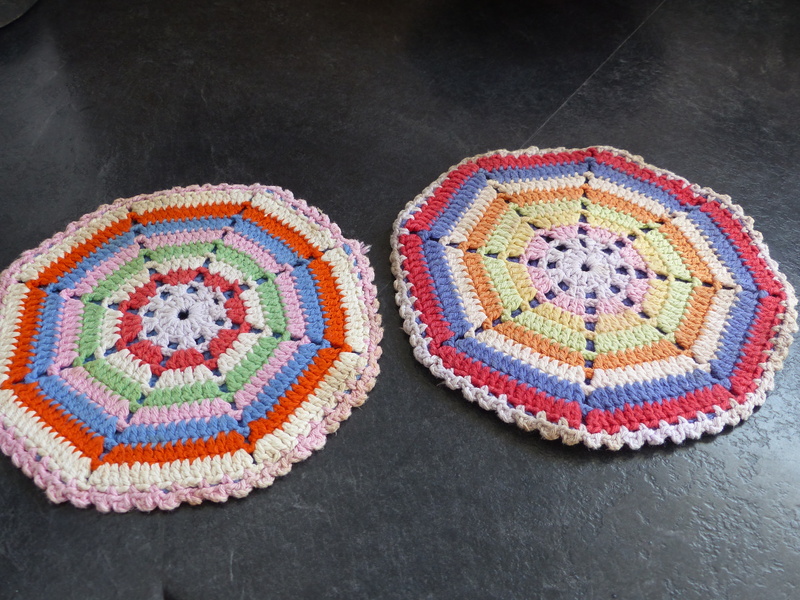 I also have these crocheted ‘pannenlappen’ (pot holders) in my kitchen that came from my childhood. They were bought for my mother by my Dutch aunt from a lady she knew who crocheted them. They’ve stood the test of time being many years old and still look great with my teapot standing on them everyday! Dutch crocheted pannenlappen. Beautiful and practical – a winning combination! 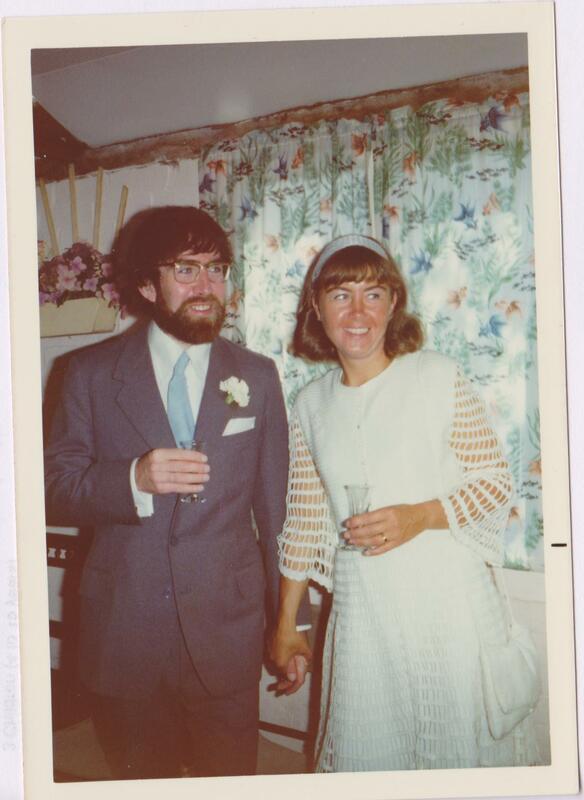 My wonderful parents on their wedding day in 1974! 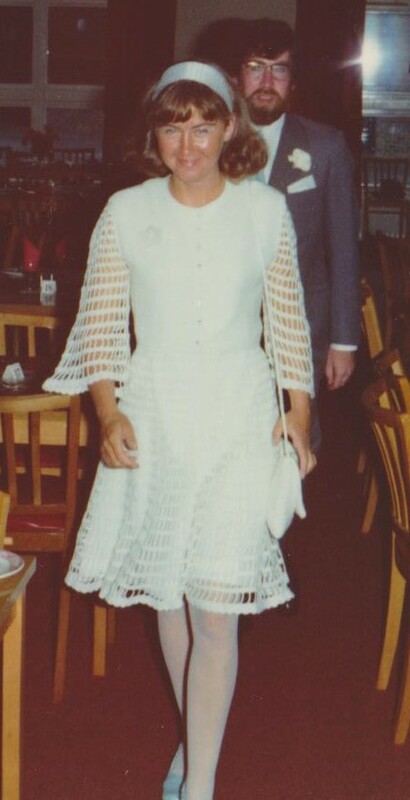 My mother crocheted her own wedding dress and matching bag – I love it so much! So it appears that I was always destined to love crochet having it subtlety in my life from the beginning! But it wasn’t something I actually did myself until I was older….so glad I did though! Where are your crochet inspirations from? Happy crocheting everyone and till next week…. Previous Post: First Submission and a Little Coastal Colour Inspiration! She crocheted her own wedding dresses?! So. Cool. Amazing to see! My grandmother crocheted a lot as well. She would be proud of me now, I think. Definitely! Your crochet looks great! Your mum’s wedding dress is gorgeous. When I think about it, crochet has always been part of my life but you don’t always realise unless you stop and think about it. Thanks for sharing. Thank you 😊 I agree that stopping to think about and reflect on our influences is so useful. Starting my blog has really helped me to do that. This post makes me smile! I hung my mothers ‘gehaakte gordijntjes’ in my home too! That is really cool, the photos too!